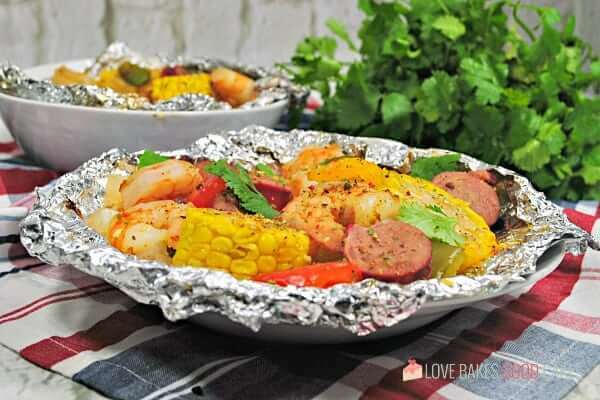 Spice up dinner with these Shrimp Boil Foil Packets! 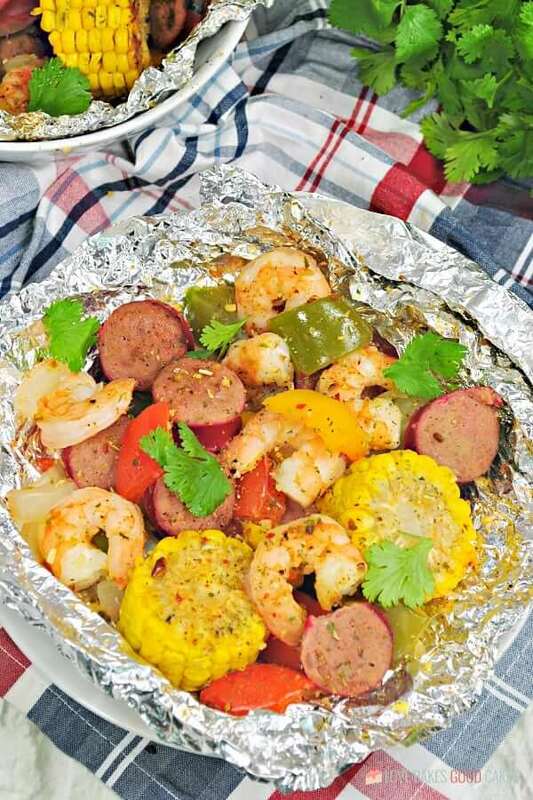 Bake or grill this easy mix of corn, sausage, shrimp, onions, and bell peppers with a zesty Cajun seasoning mix. I’m not much of a seafood eater. Which is weird because, for the past few days, I’ve had a craving for shrimp. It’s not something I crave often and I really wanted to see if I could try them a different way from our usual marinating and grilling method. Occasionally, we quickly cook them in recipes like my Quick and Easy Cajun Shrimp or Orange and Broccoli Shrimp with Rice, but I wanted something totally different from all of that. 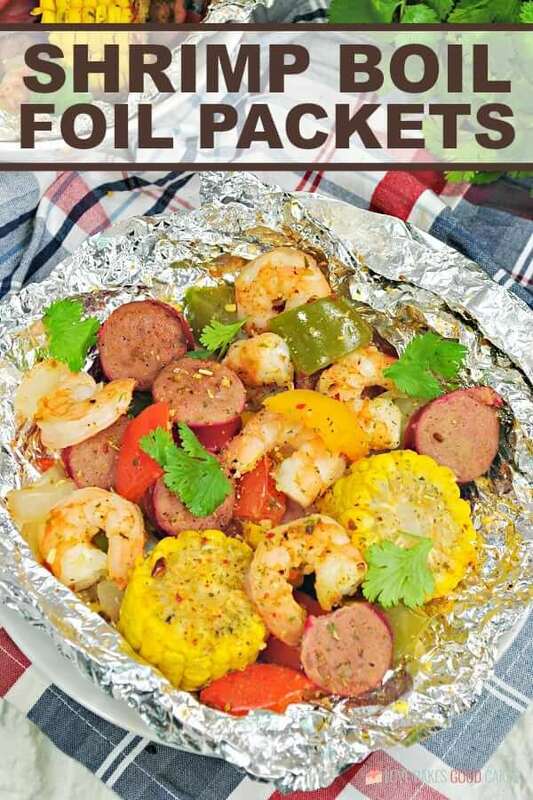 After seeing a picture on my Facebook feed for Low Country Boil, I got this idea for Shrimp Boil Foil Packets. 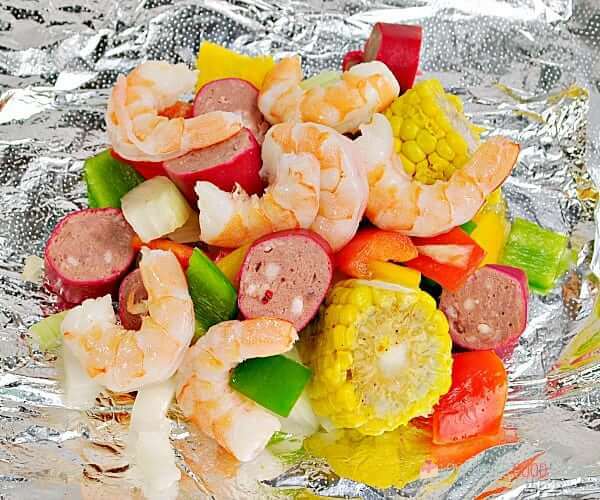 I liked the idea of trying a meal using foil packets with a version of Low County Boil using shrimp. Y’all, it was so easy and delicious! I’m so glad we tried this – it’ll definitely be something we make again whenever the craving strikes (or whenever I can catch shrimp on sale!). Shrimp cook quickly, which makes them easy to overcook. Prepare them just until they no longer look translucent and they will taste crisp, tender, and moist. 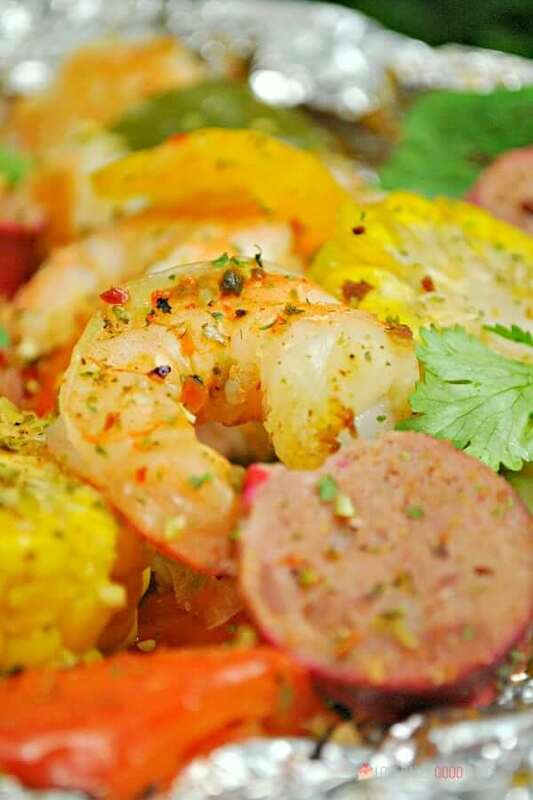 Be sure to keep an eye on them – most shrimp cook fully in less than five minutes! Should the shrimp be deveined? In general, I do devein my shrimp. I think they look better. However, it really depends on your preference and patience. Large shrimp are fairly easy to devein. You just have to slit the back with a paring knife and lift the vein out with the knifepoint. But don’t feel like you have to devein. If you can’t see the vein when the shrimp is raw, chances are you won’t when it’s cooked. Similarly, smaller shrimp have smaller veins, often not visible. Deveining comes down to aesthetics, not hygiene. How do I know if the shrimp I’m buying is fresh? Use your nose when buying shrimp or any kind of seafood. It should smell mildly of the ocean, but not like ammonia, iodine, or low tide. 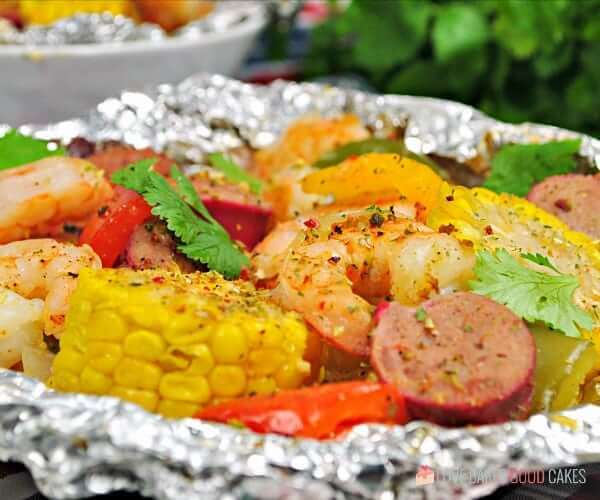 How do you make Shrimp Boil Foil Packets? 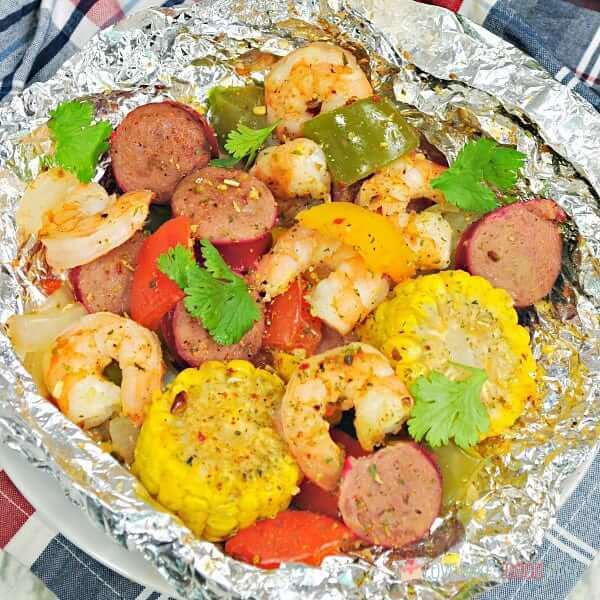 Starting with aluminum foil, lay pieces of shrimp, Cajun sausage, and corn on each packet. Add bell peppers, onion. 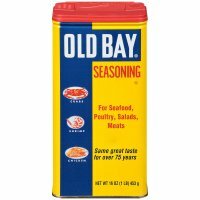 Stir together a mixture of lemon juice, garlic, and Old Bay seasoning. Drizzle each packet with some of the Old Bay mixture. 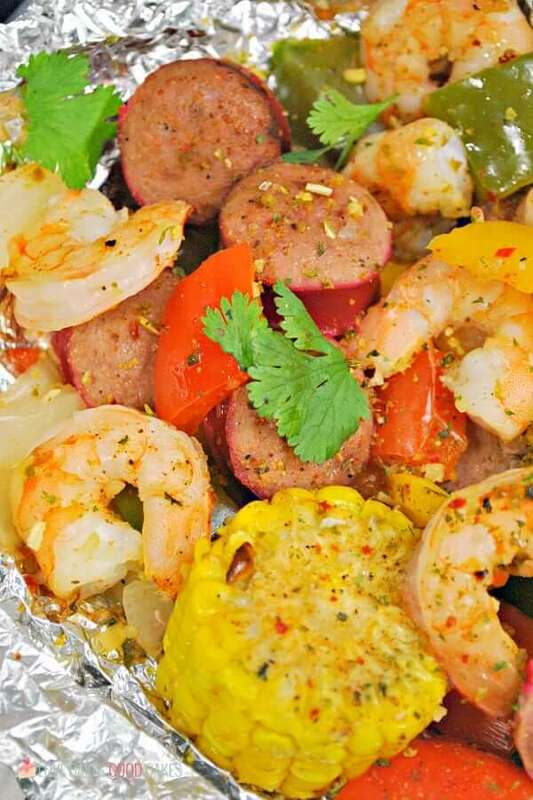 Finish up with a sprinkle of Cajun seasoning before wrapping and sealing each foil packet. Grill or bake at 425°F for 15-20 minutes. 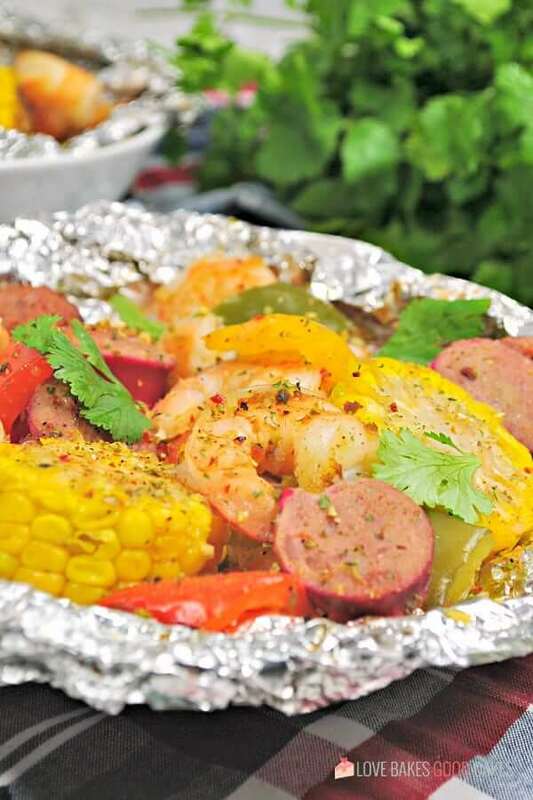 Can Shrimp Boil Foil Packets be cooked in the oven? Yes! Prepare the packets as directed in the recipe for grilling. Cook in a preheated 425°F oven for 15-20 minutes. Easy peasy! Preheat a gas grill over medium-high heat to about 425°F. 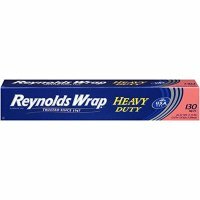 Cut 8 sheets of Heavy Duty Aluminum Foil. 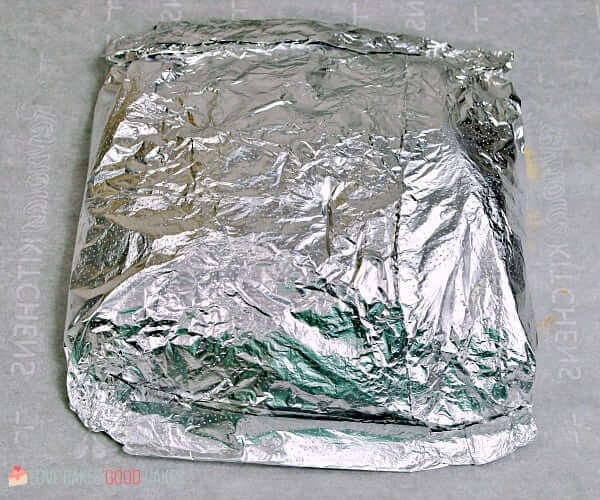 Use two sheets of foil per packets, creating 4 packets. Place the corn, peppers, and sausage evenly onto both foil packets. Divide the onions, and peppers among each packet. In a small bowl stir together the lemon juice, Old Bay seasoning, and garlic. Divide the Old Bay sauce among packets drizzling about 2 tbsp. evenly over each. Sprinkle each packet with about 1/2 tsp of the cajun seasoning. Wrap up sides of the inner foil squares to create a packet. Place the outer foil layer going the opposite direction and fold over the outer layers to seal. Crimp edges to seal. Grill sealed side up about 12 - 15 minutes. 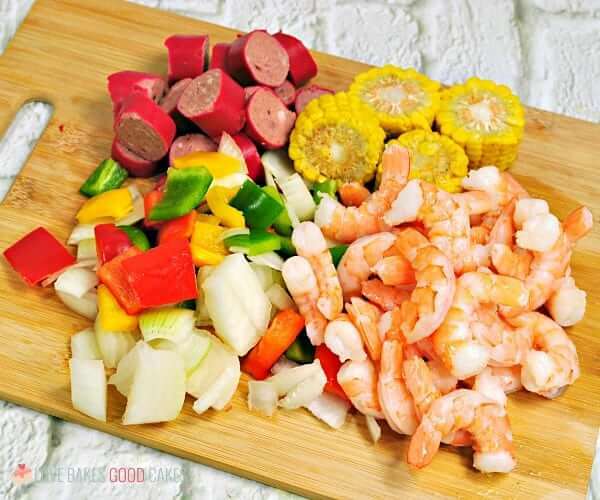 To use the oven: Bake at 425°F for 15-20 minutes or until the shrimp is no longer pink, and the sausage and vegetables are cooked through.